While I still haven’t done an apartment tour post (it’s coming!) 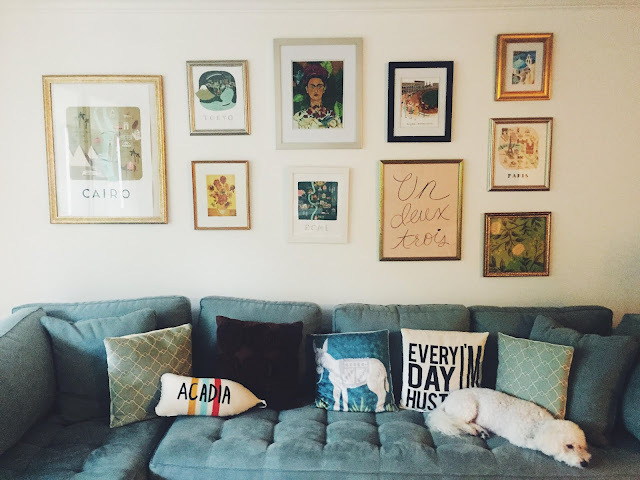 one of my favorite things to do is decorate my home. My perfect weekend would be spent perusing local antique and thrift stores, finding unique pieces that make great additions to my modern-meets-vintage style apartment. I’m a little nervous for the day when I make the leap into home ownership because I’m the type of person that wants to have every room perfectly decorated within the first week of moving in. 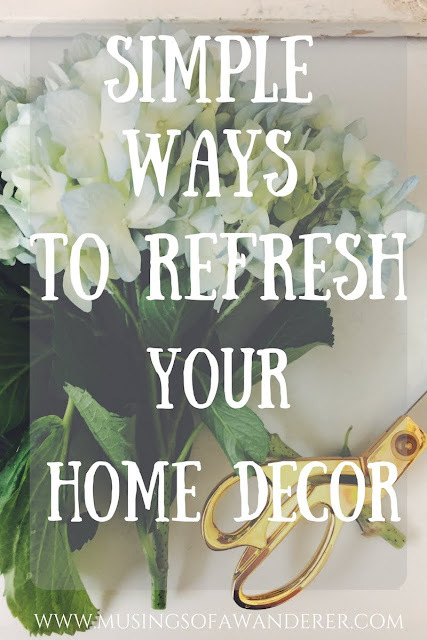 Today I wanted to share some simple ways you can refresh your home décor without breaking the bank or spending countless hours trying to renovate. 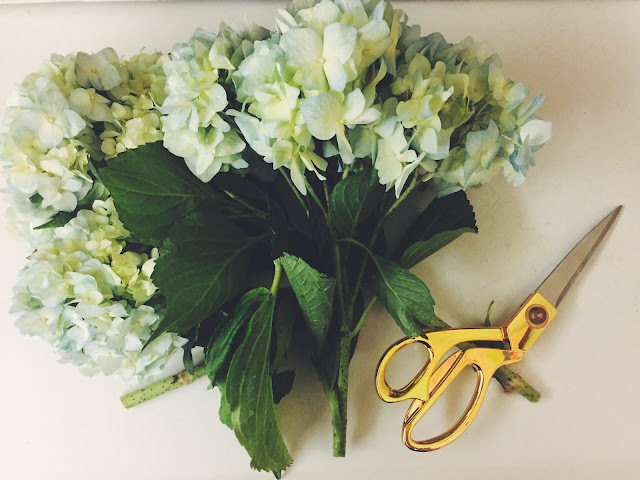 Fresh Flowers // I love finding new ways to incorporate flowers into my home. There’s just something about walking through the front door and seeing a bouquet of freshly cut flowers that makes your home feel like a home. 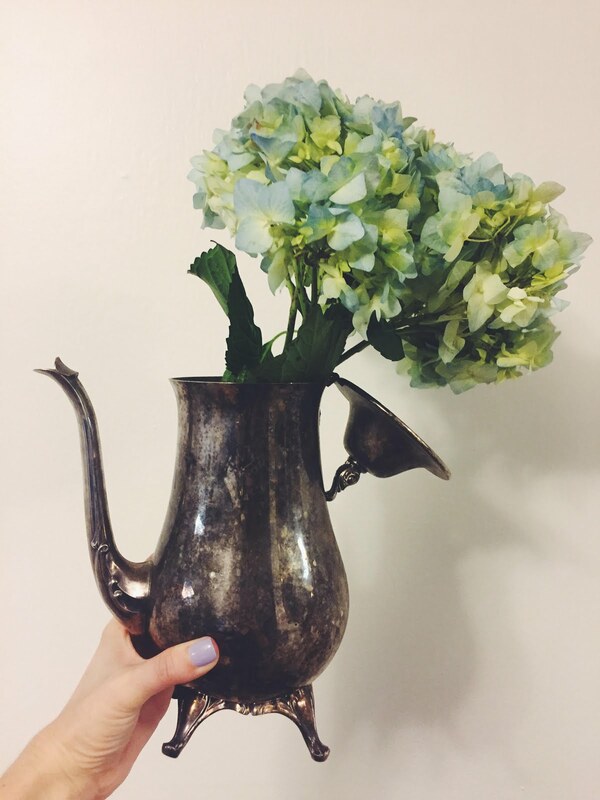 Instead of putting your blooms in a typical vase, find something a little distinct like a teapot, Mason jar or vintage medicine bottles. Candles // Candles are for me, what coffee is for most people. 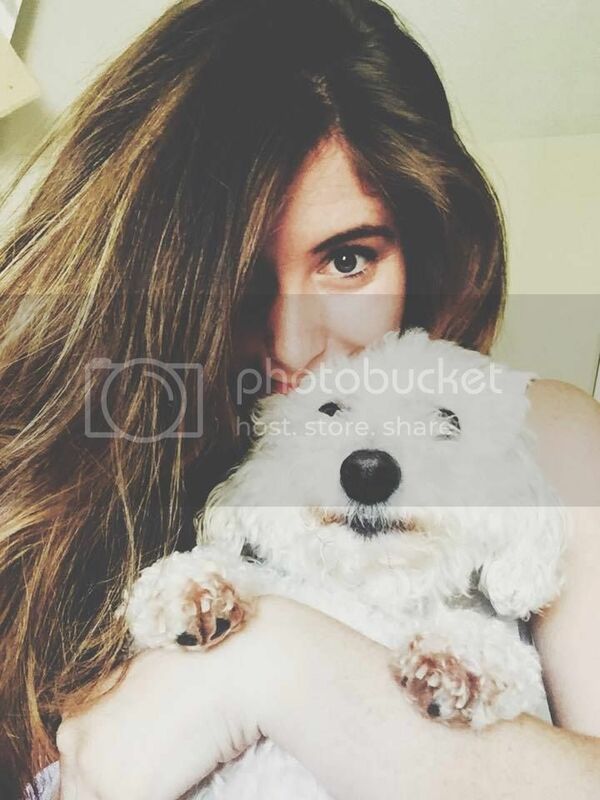 I just can’t get enough. 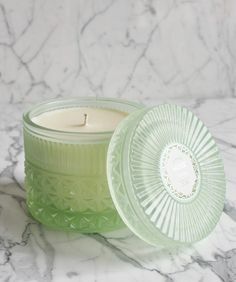 I really enjoy coming home after a long day and lighting a candle in my room while I read a book or in the bathroom when taking a bath. My mom and I went to Sip & Stroll a few months back where she bought me these Capri Blue candles –the volcano mercury candle and muse faceted jar - and I love them. They not only look cute but they smell amazing! New Art Prints // I’ve said It before and I’ll say it again – I’m a huge fan of Rifle Paper Co. prints. My gallery wall is almost exclusively prints from this stationary company. I have so many that whenever I’m looking for a change I simply switch out the print with something else. You can even use their wrapping paper and fit it into a frame like I did (bottom right)! Psst! If you live in Orlando, their Sidewalk Sale is this weekend! You get almost 70% off their prints, calendars and more if you head over to their Winter Park store. 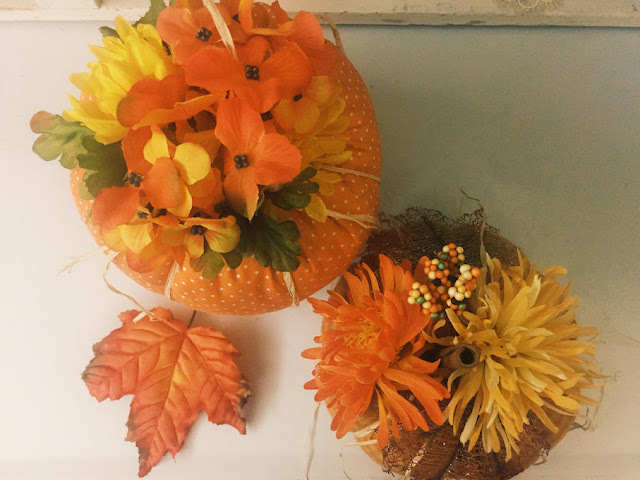 Seasonal Décor // Growing up, my mom was determined at decorating the home for each season. I could always count that on Thanksgiving weekend, we would spend two full days putting up the Christmas decorations. While I’m not as dedicated as she is, I still like to do my part in bringing a new season into my home. There are some great ways to celebrate fall that include decorating. You can pull out the pumpkins, orange and red inspired tablecloths & napkins and get in the Halloween spirit with fun and spooky décor. Target always has the BEST seasonal decorations in their $1 bins so I highly recommend checking it out if you’re looking for something new on a budget. Now, I would love to hear from YOU! What are some ways you switch up your home décor? Leave a comment below!